Observe your child’s feeding habits. How you feed your baby has great impact on his future eating habits and the nutrition that goes into his body. But what if you've mastered preparing the most nutritious food for your child yet he still refuses to eat? Studies reveal that your child knows how much food he needs and he is aware of when he should stop eating. However, it can still be hard for you as a mom to shake the feeling that something could be wrong. Is he getting enough of the food he needs to grow up healthy? You have to learn to trust your child. But you also need to learn to be able to tell if he's refusing because he's done eating, or because of something else. If you're always nagging your child to eat more, it could be your persistence to feed him that is keeping him from actually eating. Your child will not look forward to eating if you use feeding practices that put too much pressure on your child. He will not look forward to feeding time if he thinks it will be a stressful situation. So make sure every time you call your child to eat, you make it a fun experience. You can involve your little one in the cooking and prepping process—be patient with him if he doesn't want to take the first few bites, be encouraging instead. At a young age, your child already develops his own preference. Some kids love soft food, while some love mushy food. Some kids would say no to slippery food, while some would prefer wet ones. If your child is too sensitive to how the food feels in his mouth, he may refuse to eat more than you want him to. Get to know your child better by observing his preferences and think of several ways to serve his favorite textures and flavors. If your little one's high chair is surrounded by his toys, close to a window or in front of the television, he would most likely pay more attention to the moving images he's seeing or the toys he could be playing with. Make sure that feeding time is for feeding only so he can understand that eating is an important and necessary part of his day. Take away his toys when he's eating or limit it at least to one or two pieces. Don't feed him in front of the television, so he can focus on the food in front of him. When you feed your baby, his little tummy expands to up to 40%! That's why if your little one is wearing something tight around the belly, he might not feel comfortable enough to eat. You have to make sure that your baby is at his most comfortable during feeding time. Let him wear comfy clothes and a diaper that will not constrict his expanding tummy. You can try Huggies Dry Pants 360° Comfort Fit, which has an all-around garterized waistband and leg elastics that ensure proper fit, perfect during feeding time or play time. 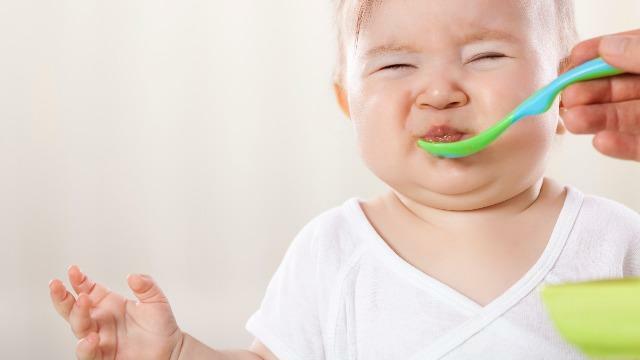 Do you know any more possible reasons why your baby is not eating? Share them here! 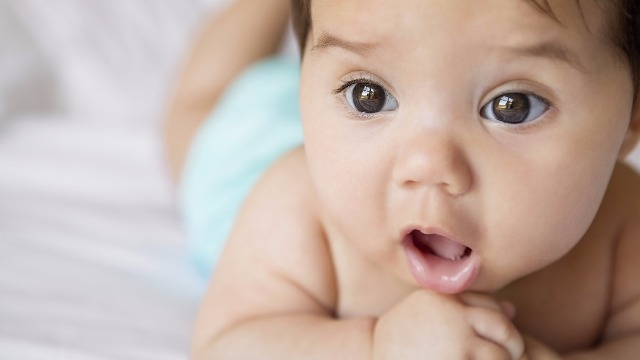 This article was created by Summit StoryLabs in partnership with Huggies Dry Pants.